Rupee on way to recovery, gains 25 paise. 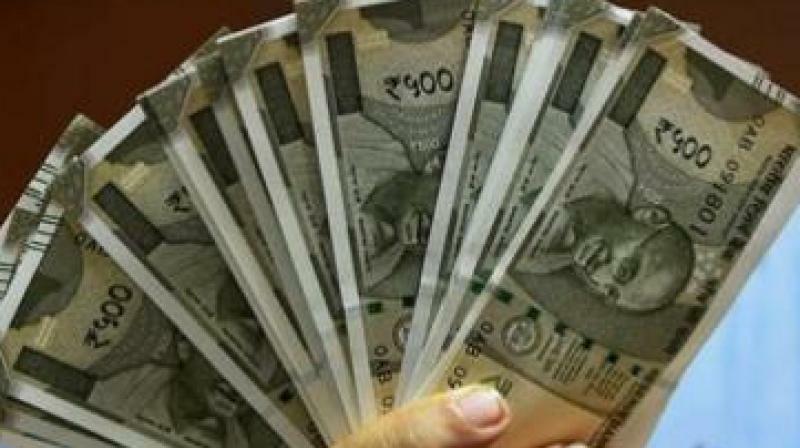 Strengthening for the second day today, the rupee climbed 25 paise to 64.48 against the dollar on increased selling of the American currency by exporters and banks amid higher opening in the domestic equity markets. Forex dealers said besides selling of the dollar, its weakness against other currencies after the Federal Reserve dialed down on some of the more hawkish policy expectations supported the rupee.Further, fresh foreign fund inflows and a higher opening in the domestic equity markets added to the momentum, they added. Yesterday, the local currency had staged a strong comeback by surging 16 paise to end at 64.73 against the US dollar. Meanwhile, the benchmark BSE Sensex was up 122.99 points, or 0.40 per cent, to 30,424.63 in early trade.